COUNTRY SETTING only 1.5 mi. from Downtown Floyd! This 10 acres gives you a stream on the frontage, some woods and cleared land. Landscape a private driveway from the road to your building site for that dream house! Your own lit' bit of country only 1.5 miles from Town of Floyd! 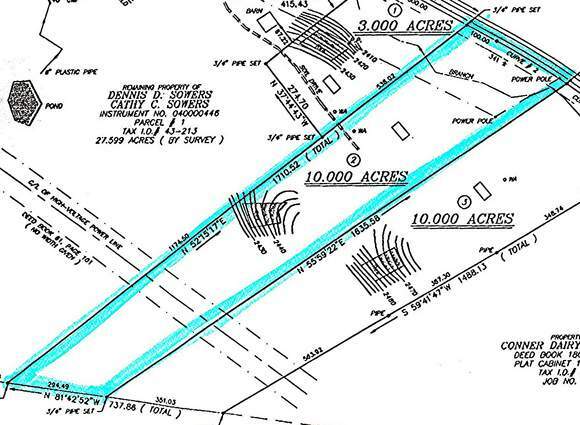 Building sites and convenient location can all be found on this 10 acres! Floyd is a county consisting of 383 square miles of rolling pasture, valley, streams and beautiful mountain scenery. Call Floyd office 540-745-6500 for additional information. current survey of 10 ac.